Located at Smith Street Food Centre is a humble little stall managed by an old couple who takes turns to mend the stall. The old couple sells the exotic turtle soup, cooked a la minute upon order. 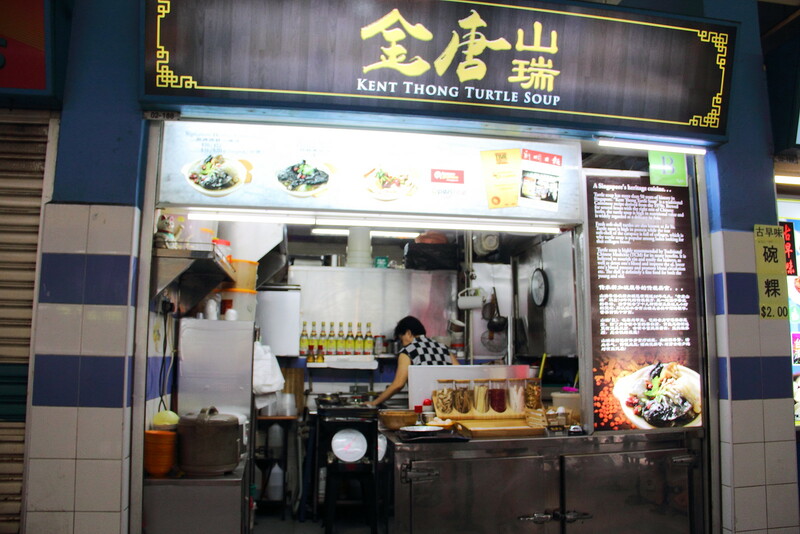 Kent Thong Turtle Soup started in Keong Saik street before moving to its current location around 10 years ago. Cooked in a concoction of Chinese herbs. 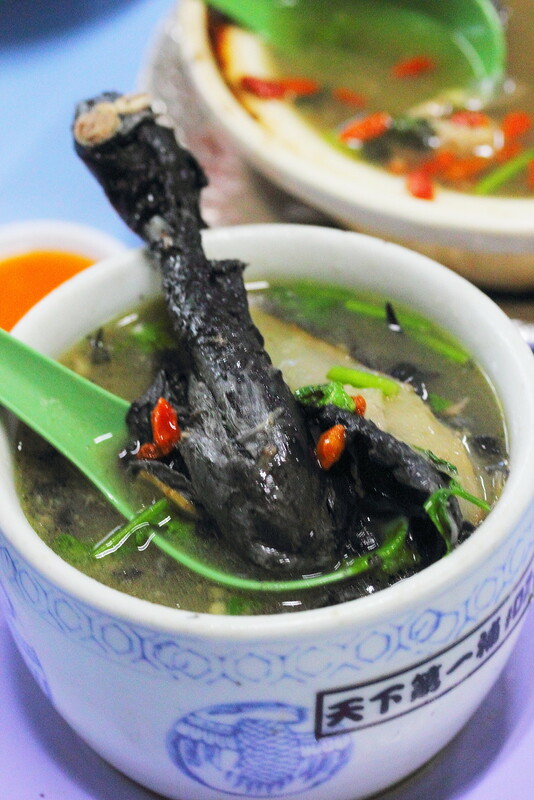 the Turtle Soup ($12) is known for its high nutritional value which has health benefits for the kidney and blood circulation. I have tried turtle soup before and I find the version at Kent Tong lighter in both appearance and taste. Understand from their owner their version is Cantonese style. The priced item for every bowl of turtle soup is the rear soft shell of the carapace which is rich with collagen. I have been wanting to try Turtle Egg for the longest time. An owner ever told me that it is very hard to get them. I was rather lucky to finally tried it at Kent Thong. You just need to add $1 for a turtle egg. Crack it into the soup to get a fuller and richer flavour. 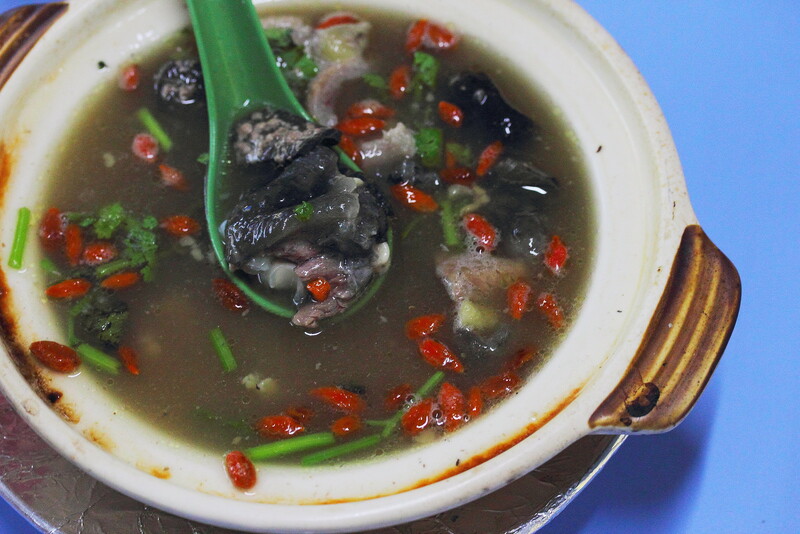 Besides the turtle soup, Kent Thong also sells Mutton Soup ($6) and Black Chicken Soup ($5). 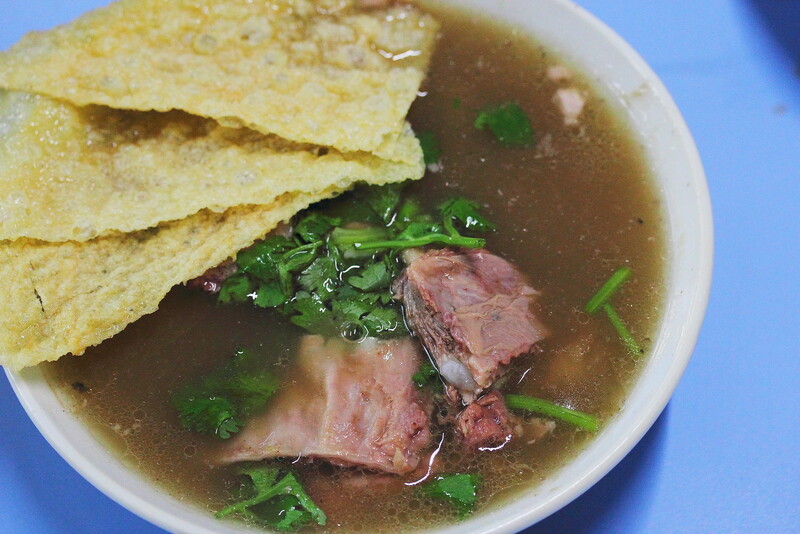 The comforting Mutton Soup has a subtle sweetness. The mutton is also cooked to a soft texture that literally falls off the bone. Many people do no like mutton because of its gaminess but I could not detect any trace of it here. The Black Chicken Soup ($5) is the star for me at Kent Tong. The used of rice wine and XO perfumed the bowl of comforting soup as well as elevating the whole enjoyment of the herbal soup. 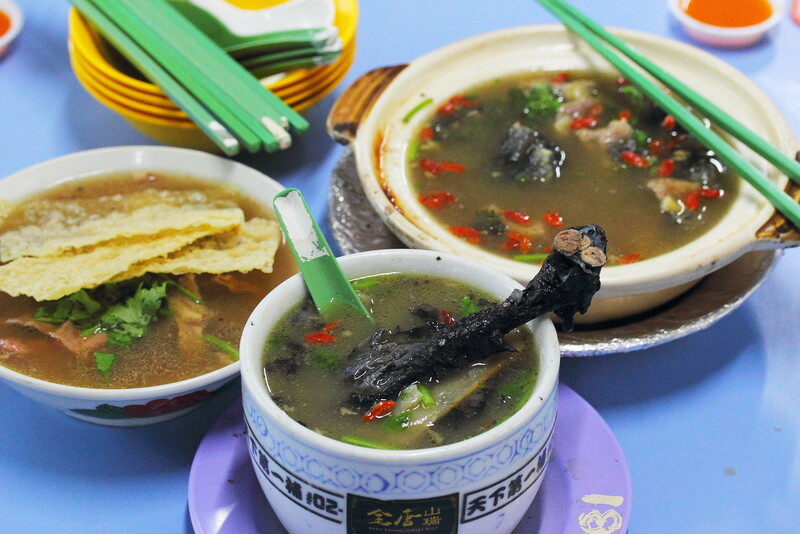 There are not many stalls left in Singapore that sells turtle soup anymore. Many of us may find the delicacy too exotic. First of all, these are all farmed turtle. 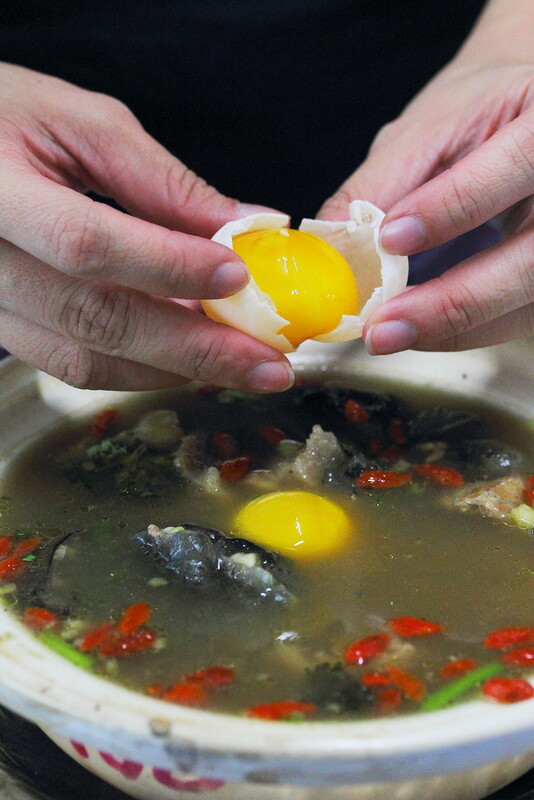 If you are afraid of eating the meat, then just drink the soup as they have health benefits for the body.